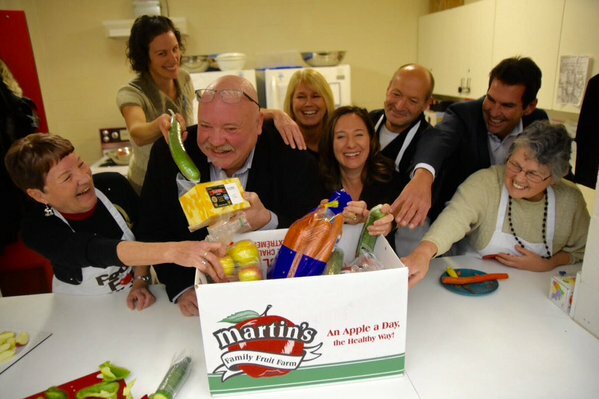 United Way Peterborough & District’s (UWP) commitment to this community’s children and youth continues as CEO, Jim Russell announced a $10,000 investment in the local Food For Kids, School Food Box Program. “Thanks to donors and community partners, this is a tangible example of United Way’s investment in children and youth. In fact, United Way is directing over $700,000 this year to programs supporting children and youth in our community. We believe by working with schools, government, business, agencies and individuals, we are building a system of supports to help our young people reach their full potential. When youth have positive support networks, they are better able to develop skills, independence and confidence, and pursue long-term goals,” says Jim Russell, UWP CEO. In addition to the investment in Food For Kids, children and youth are supported by a number of investments through United Way’s network of funded partner agencies; Big Brothers Big Sisters, YES Shelter for Youth & Families, Learning Disabilities Association of Peterborough, Peterborough Family Resource Centre, John Howard Society, Peterborough Youth Shelter, Kawartha Sexual Assault Centre, Peterborough Aids Resource Network, Peterborough Native Learning Centre, and Trent Valley Literacy Association. UWP also ensures programming for children and youth through their Back Packs for Kids and Coats for Kids programs. For more information on United Way’s work in the community visit Who We Are.